A mouth watering and healthy Appetizer. 1. In a bowl add all the ingredients , except olive oil. Mix throughly and make it like a dough. 2. Make 12 oval shaped patties from the mixed dough. 3. Shallow fry the patties in a pan adding 2 tbspn olive oil. Turn their sides when they look golden brown. 4. After done on both the sides, take the patties out and pat them dry on a paper towel to take excess oil off of them. 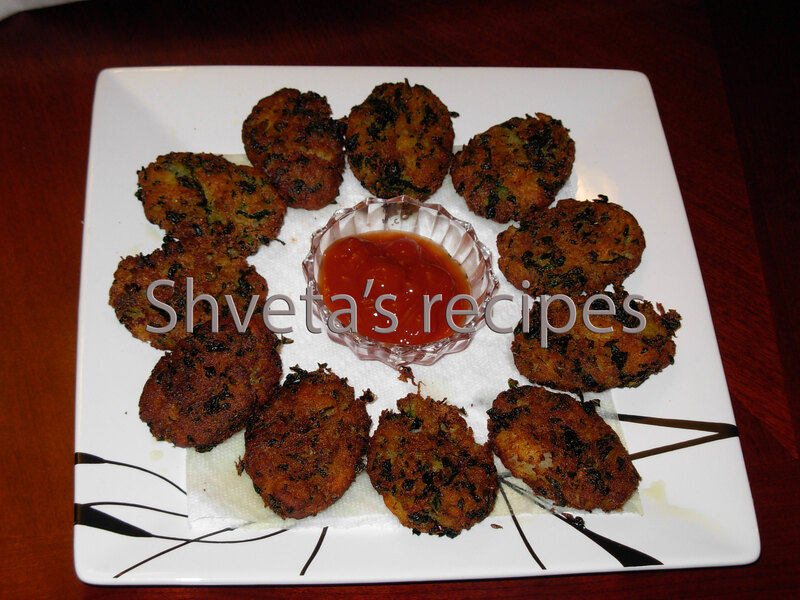 Enjoy cutlets with Green chutney or Ketchup. Good Job. When can we come for dinner. Didi, Anytime is good time.